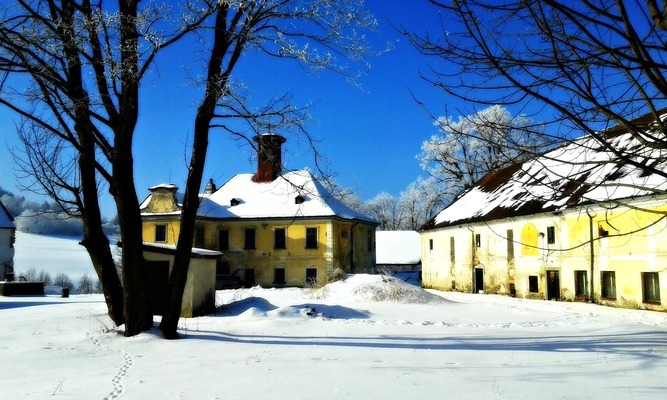 Zámek Nemilkov covered in snow. While that is certainly true, it would not be enough for Nemilkov. The winter temperatures in the foothills of the mountains of Šumava were quite extreme this winter. According to locals, it was the coldest winter in the past 6 years. Lucky us…we had the opportunity experience harsh, frigid temperatures to begin our new lives at the chateau. 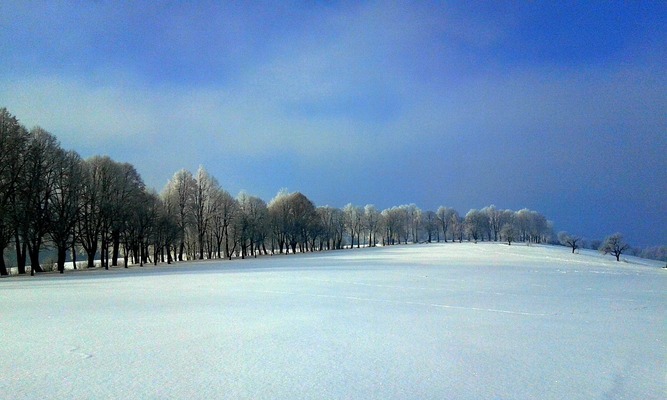 A winter landscape in the nature around Nemilkov. Getting ready for the day, as close to the stove as possible. The lowest temperature we measured in our living room after arriving was 0° C (32° F). The room that we used as a multipurpose living room, bedroom and dining room was quite “warm” in comparison. The highest we managed to heat the room up was up to 13° C (55° F), with significant drops as you increase the distance from the stove. Temperatures next to the ceramic stove (1 meter high x 2 meters across) were up to 18° C (64° F). Don’t even ask how cold it was by the windows 😱! Wrap up, it's cold outside (and inside). The real catastrophe is when nature calls during the night (which is not so uncommon when it’s cold out). However, if you really must go, just realize you will have to walk down a 30-meter hallway first. The bathroom has all the necessary “equipment”, but otherwise, it is bricks and a cement floor. Using this “cozy” room looks and feels like taking a visit to a cryo-sauna. It is also a bit absurd, but while you fight the coldness, you can easily burn yourself as well. “How so?”, you ask…the explanation is easy. It is very cozy by the stove, so you dress and take care of your personal hygiene as close to it as possible. And just as you get a little too cozy with the stove…you find yourself treating, yet another, minor burn! We ended up with burns on every imaginable body part in the dead of bitter winter 😊. 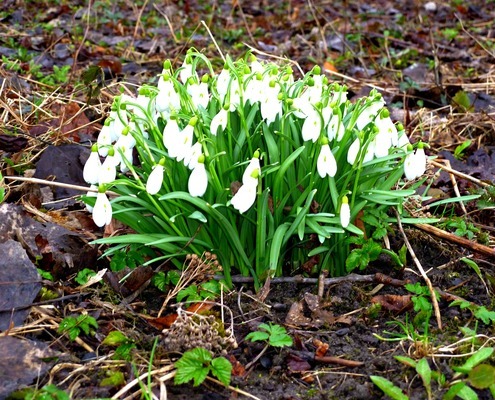 The first snowdrops appear. Spring is here.